It is often argued that Marcel Duchamp is the single most influential artist of the 20th century, and that Fountain, the porcelain urinal he signed R. Mutt and presented to the world in 1917, the single most influential artwork. But that’s not quite the whole picture. Of course, the first half of the century belongs to Picasso, and perhaps to a lesser extent that other goliath of Modernism, Matisse. We would never have had Abstract Expressionism were it not for these two vying giants of European painting. We would never have had the art world’s big leap across the Atlantic from Paris to New York. Still, one might concede that the second half of the century belongs firmly to the enigmatic Frenchman who gave us conceptual art. He himself moved from Paris to New York in 1915, though he largely remained a peripheral figure – that is until he was embraced by the four postwar American artists who feature in the Barbican’s intelligent and ambitious exhibition. These are the two visual artists Jasper Johns and Robert Rauschenberg, choreographer Merce Cunningham and composer John Cage. Without their “mentor” (one can see his influence as more of a dialogue than a direct imprint, though there is quite a bit of that, too) we would almost certainly not have had such a dramatic shift from what Duchamp dismissively called “retinal art” – works that appealed primarily to the eye rather than to the mind and that were often based, on some level at least, on painterly realism. Thus, much of what came during this seismic art shift really didn’t resemble art at all, or certainly not as anyone might have recognised it before, and deliberately so. Duchamp’s single most influential idea was the readymade. 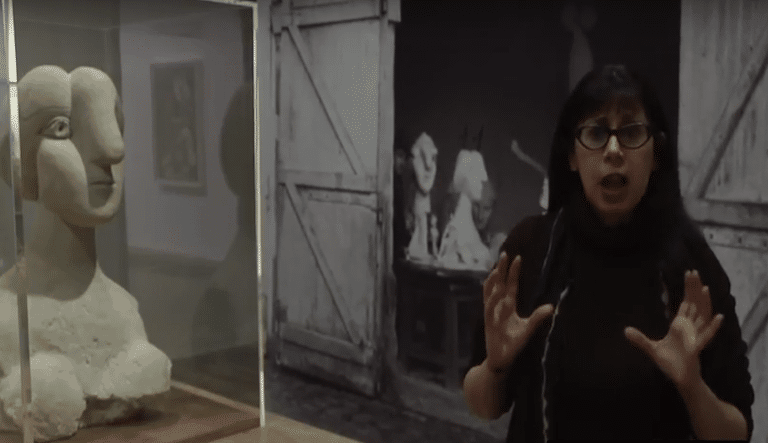 It was this idea, that an artist could take a functional non-art object and “repurpose” it as a work of art, that had such profound implications for artists. And nowhere did it have as profound an impact than on Johns, Rauschenberg, Cunningham and Cage. For a period in the 1950s Johns and Rauschenberg were lovers, and Cunningham and Cage remained life-long partners until Cage’s death in 1992. There was an intimate and feverish exchange of ideas. Johns and Rauschenberg soon became known as neo-dadaists, and their work was said to be a far cry from the heroic machismo of Pollock and de Kooning, though not such a far cry in terms of employing elements of chance (the older artists were heavily influenced by Freud and ideas of the subconscious). Rauschenberg in particular worked with a messy, painterly exuberance on a large scale in an often witty riposte to that older generation. 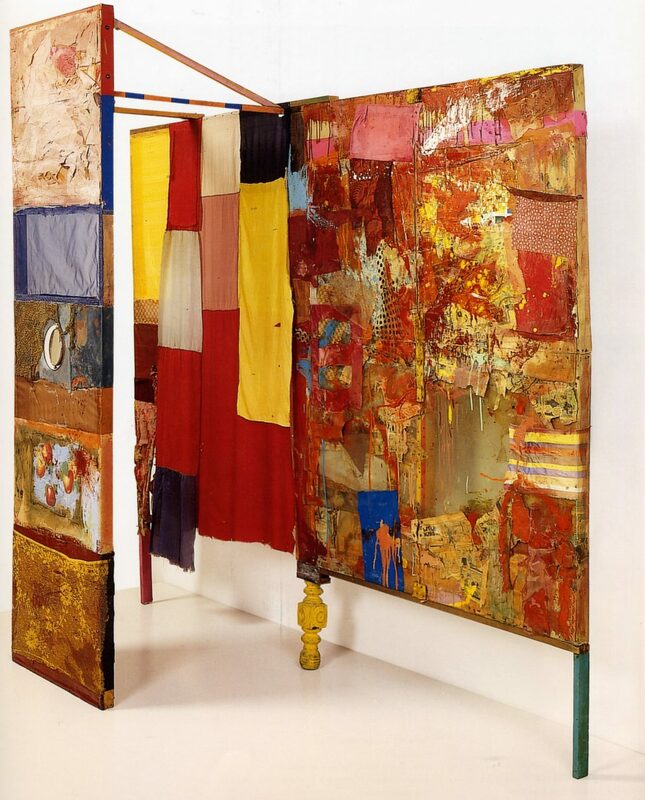 Here we find examples of Rauschenberg’s Combines, his radical hybrid painting-sculptures incorporating found objects, the detritus of his immediate urban environment. There’s a wonderful stage design he made for a Cunningham performance, Minutiae, in 1954 (pictured left), a free-standing Combine incorporating painting, billowing fabric, bits of wood and metal. It’s the aesthetic of the junkyard and provides an intriguing counterpoint to Cunningham’s rigorous, restrained choreography, which can be seen in live performances (Thursday evenings and weekends) throughout the run of the exhibition. A low stage occupies the middle of the exhibition space on the ground floor for this purpose. But, providing a running soundtrack to the exhibition, you can already hear the footfall of dancers and Cage’s ‘chance’ compositions played on two specially adapted pianos programmed to play on their own. Another, more austere stage design by Rauschenberg features a long, rhythmic line of chairs punctuated by Duchampian bicycle wheels. And there’s a selection of his White paintings. These pure, monochrome works were produced around the same time as the Combines, so we get a real sense of just what a protean artist Rauschenberg was. Johns’ bronze sculptures cleverly take Duchamp’s concept of the readymade and playfully invert it. 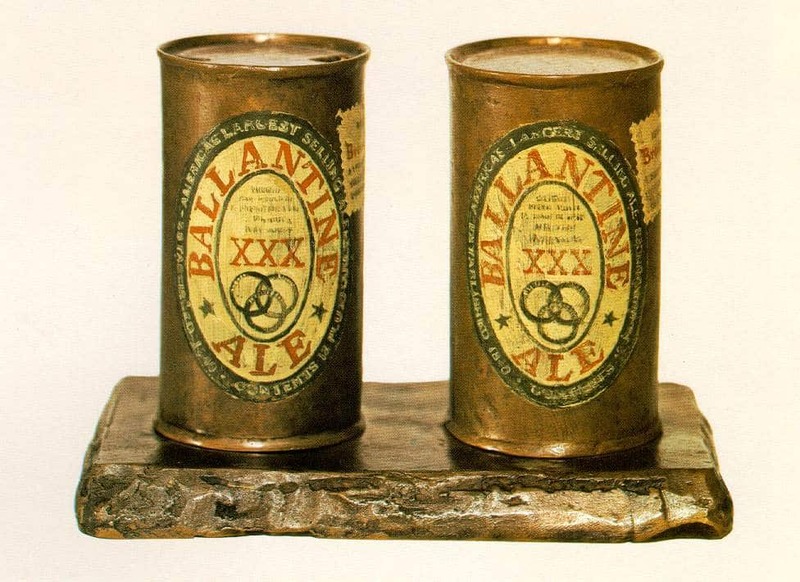 Everyday objects, such as beer cans – Painted Bronze (Two Ale Cans), 1960 (above) – were cast in traditional bronze and painted to resemble the real thing. And in another Cunningham stage design, Johns has painted motifs from Duchamp’s The Large Glass (The Bride Stripped Bare of her Bachelors, Even) onto transparent plastic. These hang like lanterns from the ceiling, while a 1992 replica of Duchamp’s The Large Glass (the original is in Philadelphia) casts shadows nearby. Another fundamentally important Duchampian idea was the elimination of artistic intention. And the artist who worked with this idea most fully was Cage. This is perhaps represented in its purest form in 4’33, Cage’s most notorious work. The “composition” was made up of nothing more than chance, ambient noise, including the audience’s laughter, expectant paper-shuffling and the leaving of seats. The exhibition is beautifully designed by French artist and filmmaker Phillipe Parreno. It’s a fascinating, clever survey, but, small quibble, one does wish that some use was made of original footage of Cunningham and Cage. The exhibition would have been much informed by original performances. Watch John Cage perform Water Walk on the popular American TV Show I’ve Got a Secret, 1960.